The northern hall. An interesting collection of Soviet & Eastern Bloc machines. 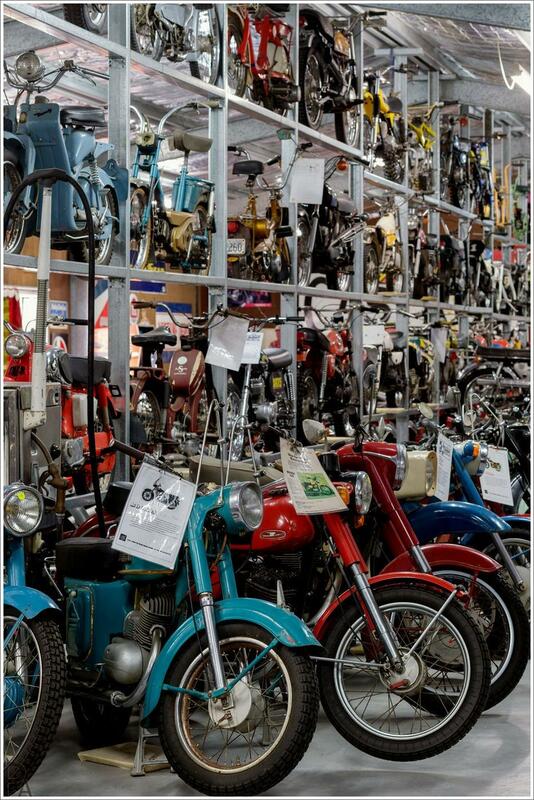 Included are the Russian 1969 IZh Jupiter 350 and 1969 Planeta 350, 1970 Voskhod M175 and 125cc, Minsk 106cc and 125cc 2-stroke singles, Cossack and Ural 650s, a Polish Jumak M10 350 from 1958, plus various CZs and other marques.